Done well, enterprise monitoring initiatives can be a boon for IT organizations. However, if your enterprise network or digital property is offline, your employees’ productivity grinds to a halt. Continuous network and server monitoring enables you to find potential problems and resolve them before they become a serious threat to your enterprise. Acquiring even basic monitoring tools can involve a substantial amount of work and expense, and the investment is worthless if you can’t monitor and control the systems that you need. The problem? A quarter of IT consulting inquiries about monitoring are about how to implement. In short, many IT leaders don’t know where to begin. Scope: Consider how far and how deep you need the monitoring to go. Do you need to monitor all sites, or just your primary data center? Servers or network devices? Centralized IT or remote sites? Determine exactly what data to collect and when to issue alerts. If scoping is not done properly, incomplete monitoring programs can offer a false sense of security and overly ambitious efforts can collapse under their own weight: strike the right balance. Protocols and Permissions: After you’ve decided which systems to monitor and what data to collect, you need to consider the methods to use. Protocols such as Simple Network Management Protocol (SNMP), Windows Management Instrumentation (WMI), syslog and NetFlow each have its own permissions and connection points in the environment. You need to have a clear understanding of your protocols, so you don’t run into unexpected firewall or system compatibility issues. Different collection methods also have different access schemes. For example, WMI uses a Windows account on the target machine. If it’s not there, has the wrong permissions or is locked, monitoring won’t work. Meanwhile, SNMP uses a simple string that can be different on each machine. Connectivity: Agent-based platforms have on-device agents that collect and store data locally, then forward large data sets at regular intervals. Each collector bundles and sends this data to a manger-of-managers, which passes it to the repository. Meanwhile, agentless solutions use a collector that directly polls source devices and forwards the information to the data store. You need to understand the connectivity architecture of these various tools, so you can effectively handle DMZs, remote sites, secondary data centers, and so on. You also need to look at the connectivity limitations of various tools, such as how many devices each collector can support and how much data will be transmitted, so you can design a monitoring implementation that doesn’t cripple your network. Scalability: Understand what kind of load the monitoring application will tolerate, and what your choices are to expand when you hit that limit. This is tough to estimate when you’re just implementing a system, but assuming you will eventually need to expand your scalability over time and putting in guardrails as to how much and when you’ll be able to scale up will prevent business disruption in the future. 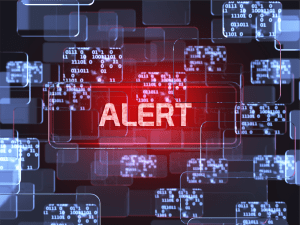 Are you prepared to act on the alerts your monitoring solution sends you? You’re not done after you’ve answered the above four questions. Monitoring – identifying where any issues may occur – is just one half of the puzzle. Having the ability to quickly mitigate issues that you find when you monitor your network is equally – if not more – important. You can’t have one without the other. This means you’ll need to ensure you have IT staff dedicated to maintaining your monitoring solutions as well as act to mitigate any issues you’re alerted of. Many of the companies we work with have the incident support piece of the puzzle, not the monitoring piece. Even companies that do have some monitoring solution in place still have issues, as Microsoft advises companies work with third parties to implement an enterprise monitoring solution that can address multiple vendors. Issues can arise when integrating multiple tools and systems together, requiring a level of expertise, time and attention to seamlessly identify and solve issues before they impact your business and customers. As you’ve seen over the last few weeks in our blog posts on monitoring best practices, available tools, and how to implement monitoring, it’s requires a significant amount of time and resources to implement and ensure it is running smoothly. Just as you would look to a third party for a holistic enterprise monitoring solution, it makes sound business sense to also ensure that the same third party can handle support across your IT environment. Many organizations who outsource the monitoring, support and maintenance of their IT operations to different vendors experience inconsistencies related to high personnel turnover rates, a lack of the right experience, and a one-size-fits-all approach that is not customizable to meet their individual business requirements. US Cloud’s enterprise network performance monitoring » includes more than 200 sensors for all the network services you utilize, including PING, HTTP, SMTP, POP3, and FTP, giving you a holistic view of your network in real time. If you’re like many other companies and use multiple vendors for different aspects of your IT portfolio – whether you have a hybrid, on-premises, or cloud environment – US Cloud has you covered with the ability to integrate across vendors with our intelligent alerts, network performance baselines, wireless network monitoring, and wireless network management. Combine that with US Cloud’s premier incident support » and you can complete the IT puzzle of monitoring and fixing problems before you get a call from your customers. US Cloud was born in the Cloud so our ability to monitor and manage cloud-based systems is baked into our DNA. We also have 13 years of experience managing organizations’ on-premises IT infrastructure, so we understand how these different IT environments fit together. With 2 billion logins managed since 1999, contact us and get a free quote today » to learn how you can join the ranks of customers worldwide who have come to us to combine enterprise monitoring and premier support into one seamless solution to maximize their IT investments.